Trotsky's White Negroes: The Censored Holocaust by Mike Walsh (Book) The 1917 coup that led to 73 years of terrifying Communism was an American inspired coup d’état. The seizure is better known as the Russian Revolution because those responsible control media. We have been conditioned to think want the guilty want us to think. "We must turn Russia into a desert populated by white Negroes upon whom we shall impose a tyranny such as the most terrible Eastern despots never dreamt of. The only difference is that this will be a left-wing tyranny, not a right-wing tyranny. It will be a red tyranny and not a white one. We mean the word ‘red’ literally, because we shall shed such floods of blood as will make all the human losses suffered in the capitalist wars pale by comparison. We shall show what real power is. 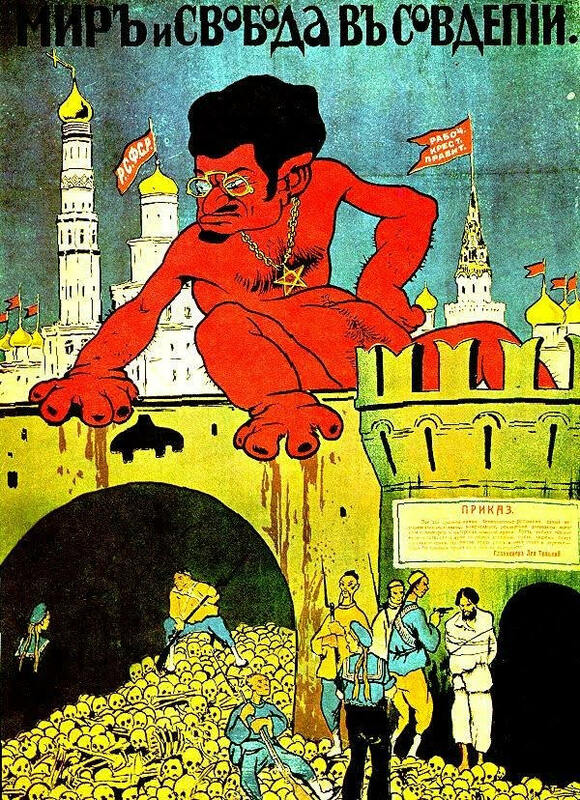 By means of terror and bloodbaths, we shall reduce the Russian intelligentsia to a state of complete stupefaction and idiocy and to an animal existence.” Trotsky speaking in Petrograd December 1917 to revolutionaries as noted in Aaron Simanovich’s Memoirs, P 153 – 154. Paris 1922, Molodaya Gvardiaya, Moscow. No 6, 1991, p 55. 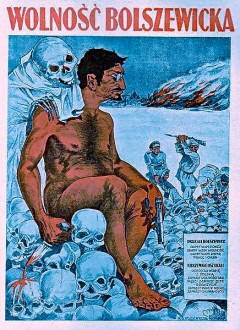 Death's Head White Russian (pro-Czarist) poster depicting the Red Bolshevik, Leon Trotsky (Jewish name Lev Davidovich Bronstein). Trotsky is most often credited, with good reason, with coining the term “racist” as a derogatory term for his political enemies: White Gentiles. Note the Christian cross broken in the upper left and the White Russian being threatened by the Mongolians in the lower right — even then Marxist Jewish extremists jacked-up the other races to do their bidding. Some things never change!